We’re an established website design & development business serving Oregon City, Oregon. As the sole importer in the USA for Ernst Loosen’s two German wine estates, Dr. Loosen and Villa Wolf, Loosen Bros approached us for a fresh design for their aging website. 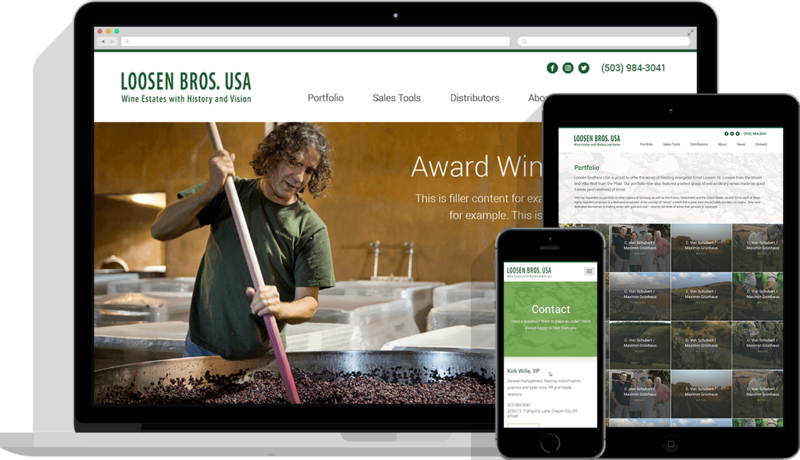 One of the primary objectives was to create a website that was easy for people to browse and find out more information about the wines they import. They wanted people to be able to find this information in an easy and organized format. With these objectives (and much more), we created a website for Loosen Bros USA that hit all of the marks. They now have a very nice, modern website for their customers to continue doing business with them online and for years to come.